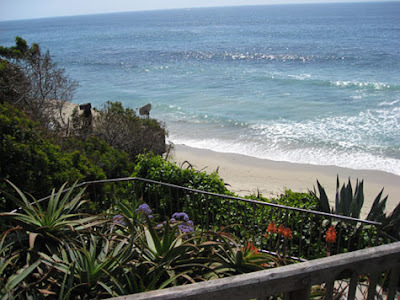 Sadly, when I got down to the overlook, I was reminded that Laguna just experienced a massive 480,000 gallon sewage spill and the beaches were still closed. That got me to thinking about all the surfers in town who wouldn't be surfing in Laguna this weekend. These surfers would either skip their surf session (like me) or would have to travel out of town to other surfing areas. In economic speak - they would either have lost the value of a surf session or would incur a higher travel cost to go somewhere else, which will reduce their consumer surplus (stoke) assuming all other things being equal (surf quality, etc.). In February of 1990, the American Trader, dumped over 400,000 gallons of oil in the waters off of Huntington Beach. The spill closed 14 miles of beach for 34 days. Eight years and a ten week trial later a jury awarded the State of California $18 million. To arrive at that figure economists on both sides of the issue used the Travel Cost Method to estimate the non-market value of lost beach and surf recreation. 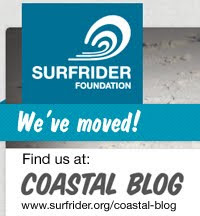 (Click here for an surf-centric explanation). Back to the sewer spill, I wonder how much lost value did surfers in Laguna suffer from due to the beach closure? Chapman, D. J. and W. M. Hanneman (2001). Environmental Damages In Court: The American Trader Case. The Law and Economics of the Environment. A. Heyes: 319-367.
is the Environmental Director at the Surfrider Foundation and is also pursuing his doctorate at UCLA on surf economics - He loves being immersed in his studies.